This one-bowl easy Rhubarb Cake is great for afternoon tea or breakfast. Rhubarb has exploded from the ground and hit the markets, and the ruby red rhubarb from Melissa’s Produce is off the charts. With its flavor, perfect acidity and gorgeous color, I am sure it is a sign that this is going to be a great year! 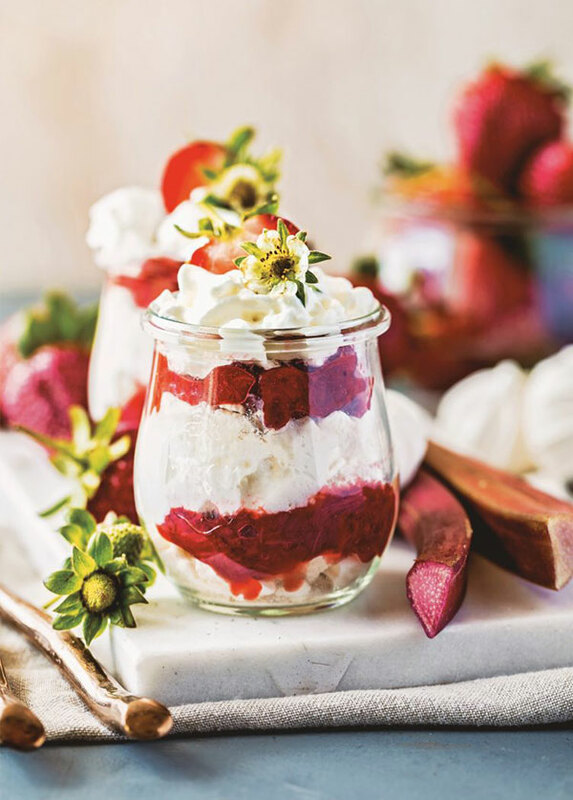 The recipe that made this rhubarb sing is from Jackie Bruchez‘s new cookbook, Decadent Fruit Desserts: Fresh and Inspiring Treats to Excite Your Senses. 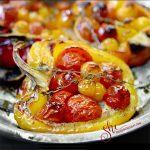 It features 75 mouth-watering recipes each with a colorful and gorgeously presented photo. Each recipe makes fruit the star, minimizes the amount of sugar and uses the whole fruit (following the current root-to-stem trend), to minimize waste and maximize nutritional output. Meeting her now, can I just say… this girl can bake! Her ideas are fantastic, her imagination over the top, and I am so happy to own her brand new cookbook Decadent Fruit Desserts. 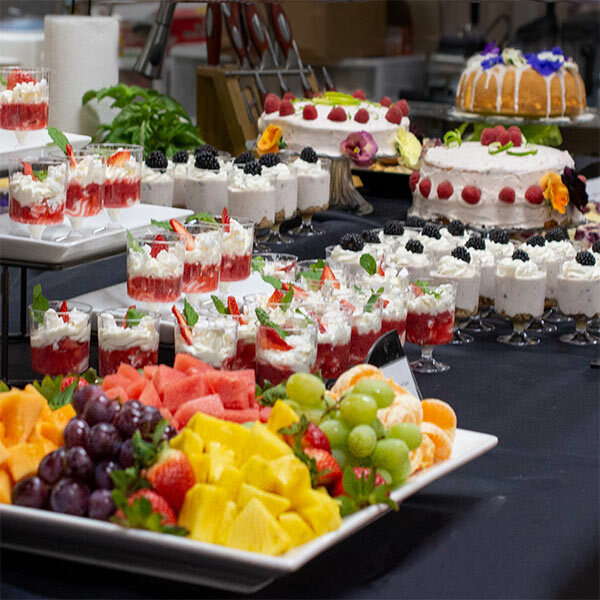 I recently sampled six desserts at a Melissa’s Produce meet and greet dessert fest. Everyone was better than the one before it, and all I can say is thank heavens there were veggies and fruit to offset the sweets. Here are a few we happily devoured. 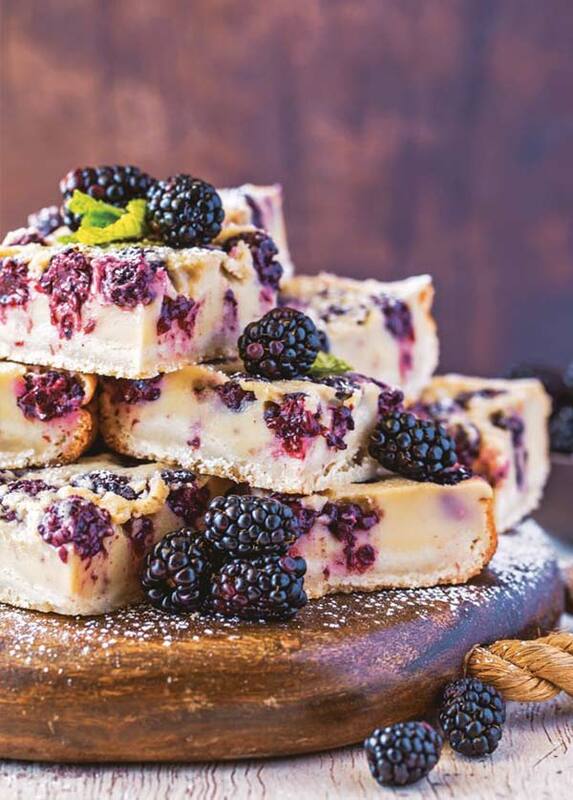 These bars have delicately sweetened custard complimented by fresh blackberries and a rich buttery crust. This traditional English dessert gets an upgrade with the addition of rhubarb which compliments the crunchy meringue, and sweet whipped cream. 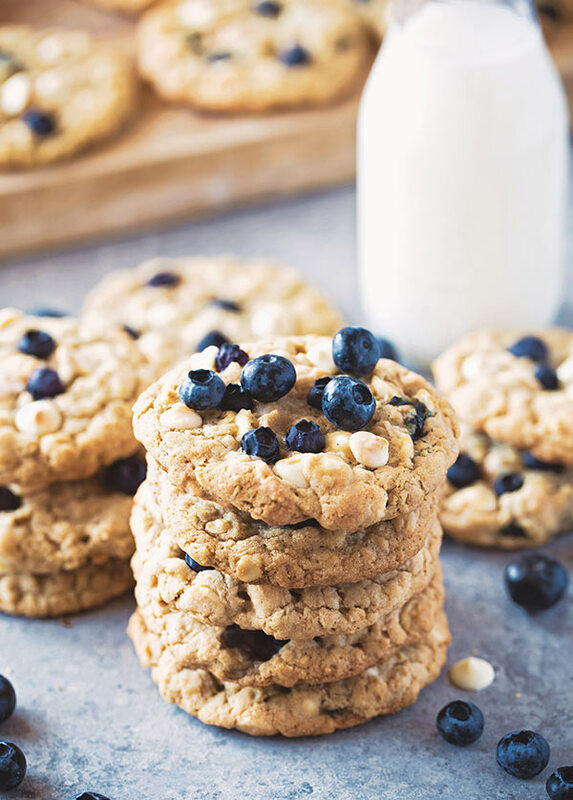 Jackie demonstrated how to make these easy and delicious fresh blueberry cookies. 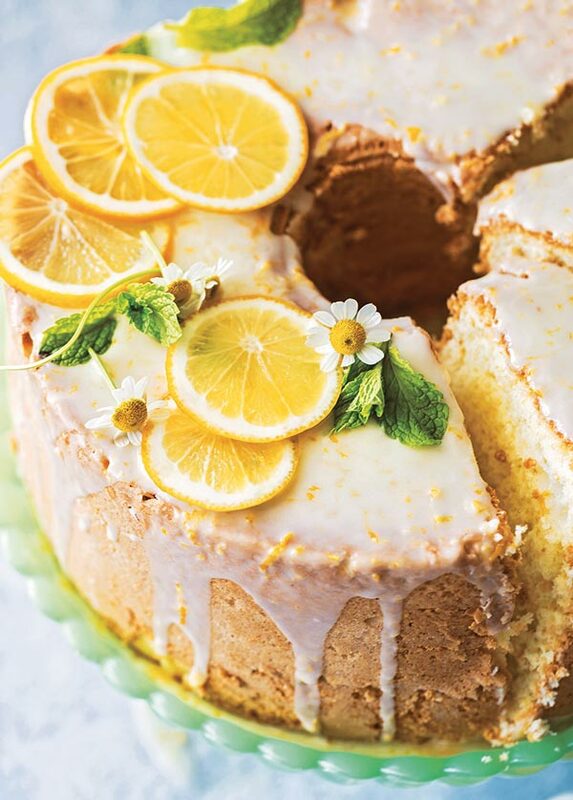 She also whipped up her super-light Meyer Lemon Chiffon Cake which, if you are a lemon lover, will become your favorite. How about this very impressive cake? It will require a little more time, but what a showstopper for guests! Jackie’s favorite recipe is her Island Sherbet. 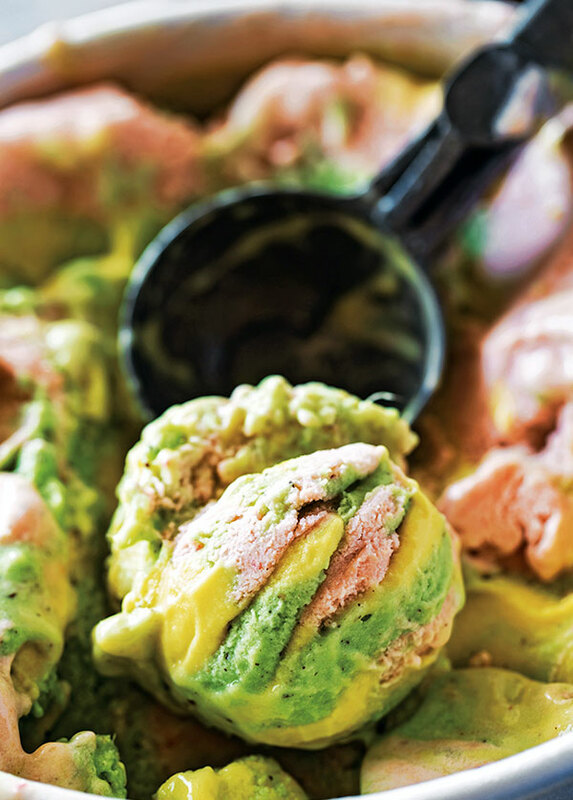 This sherbet is a combination of Pineapple-Kiwi, Guava-Strawberry & Passion Fruit-Mango Sherbets. This has to taste like a tropical vacation in a bowl. Jackie serves this cake with a Crème Anglaise sauce which I have included in the recipe below. What I love about this cake is that it isn’t too sweet and it really lets the rhubarb shine. If you must have really sweet things, add more sugar. Simply mix, chop, pour, sprinkle and bake. Quick. Easy. And oh so delicious! This one-bowl Quick Rhubarb Cake tastes like spring and couldn't be easier to make. Preheat the oven to 350° F (177°(). Grease and flour an 8 or 9-inch (20 or 23-cm) cake pan. To make the cake, in a large bowl, beat the eggs and 2/3 cup (130 g) of the sugar until light, about 3 minutes. Beat in the melted butter, milk and vanilla. Stir in the flour, baking powder and salt; mix it to combine. Pour the batter into the cake pan. 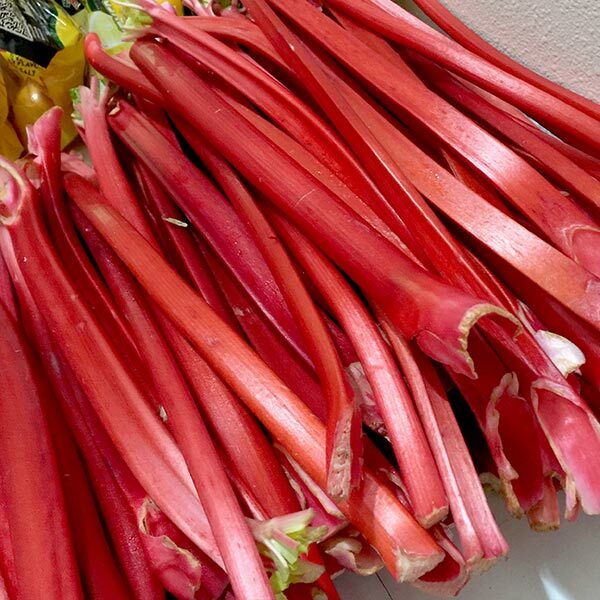 Spread the diced rhubarb around the top of the batter and sprinkle it with 2 tablespoons (25 g) of sugar. Bake for 30 minutes or until a knife comes out clean. To make the creme anglaise, combine the milk and cream in a heavy-bottomed saucepan on medium-high heat; bring it to a simmer, then remove it from the heat. In a separate bowl, whisk the egg yolks and sugar until it's pale. Temper the yolk mixture by gradually whisking small amounts at a time of the hot milk mixture into the yolk mixture. Return the custard to the saucepan. Stir it over low heat until the custard thickens and coats the back of a spoon, about 5 minutes. Remove the pan from the heat and stir in the vanilla. For a smooth finish, and to remove clumps, strain the sauce through a fine-mesh sieve into a bowl, if desired. Cover and chill it until ready to use. Drizzle the sauce over the rhubarb cake slices right before serving. 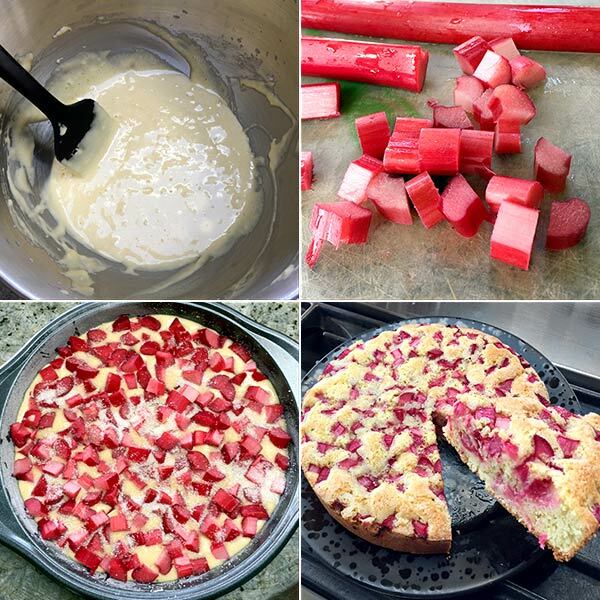 This rhubarb cake is a great recipe for people with allergies. It is extremely versatile, and gluten-free flour and nut or coconut milk can be substituted for the flour and milk. 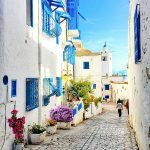 Follow Jackie on Facebook, Instagram & Twitter as she is always up to something delicious and also has great recipes on her blog The Seaside Baker. 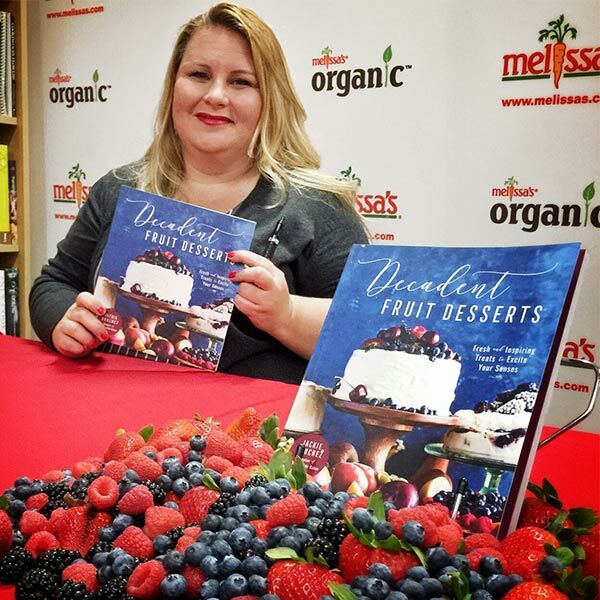 I am absolutely in love with Decadent Fruit Desserts and I’m sure you and your family and guests will love this book as well. …and then, she paused for sweet thoughts. Disclaimer: I received a copy of Decadent Fruit Desserts to review. All opinions are my own. Thank you for such a beautiful write up! This is one of my family’s most favorite dessert. I’m so glad you liked it! Thank you Jackie for such a fabulous cookbook! I can’t wait to try more recipes. Wow, looks so very good! Love the sweet and tart combo. Mmmmmmmmmm. 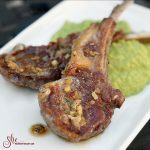 You will love everything about this recipe. It is light, quick & easy, and not overly sweet with just the right amount of tart. For the rhubarb, we still have to wait. But my…this looks so GOOD! Angie, check your local stores where they sell Melissa’s Produce. They told me it is in the stores until July. I literally have this cake in the oven as I’m reading your post!! I used rhubarb that I froze last summer, but the Melissa’s Produce rhubarb looks amazing. 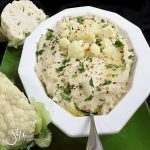 I made it for an afternoon snack for the hubs today, but was also thinking it would make a lovely breakfast tomorrow too! Hi Sue, I love this cake for breakfast. I love that you can use frozen rhubarb as well. Do check out the Melissa’s Produce rhubarb as it is the best I have had in many years. 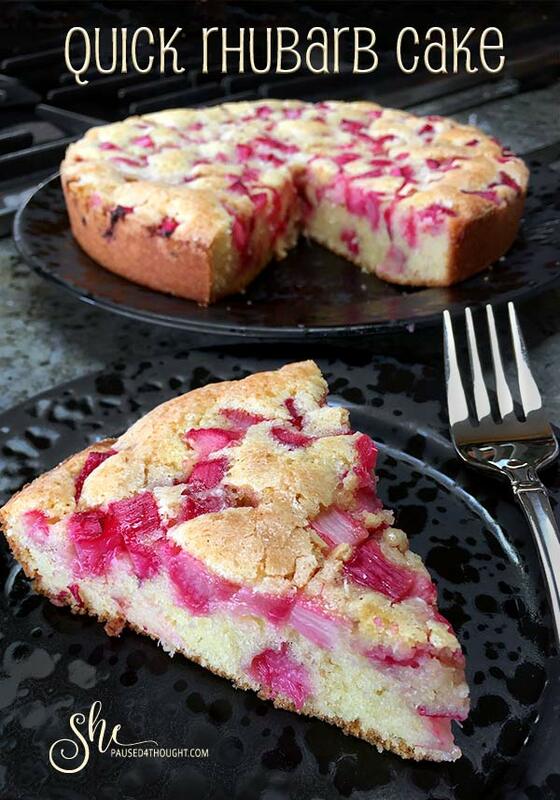 I’m really trying to be good… but this Rhubarb Cake pretty much throws that out the window!! 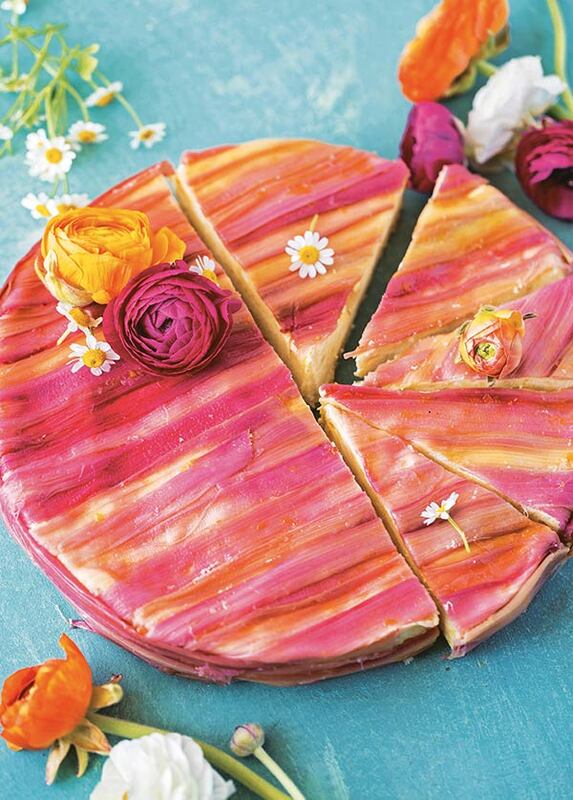 It looks absolutely fantastic – I adore rhubarb and I cannot WAIT to make this! I’m with Sue, this would be fabulous for breakfast, or a snack. Oh, who am I kidding? I could eat this ANY time!!! I do understand but the cake is worth making an exception! Rhubarb is harder to find here in Florida than it was in New England where every market carried it in season. This cake is simple, letting the flavor of the tart rhubarb shine. It is such a shame Rhubarb is so hard to find when so many people love it! So true Greg! 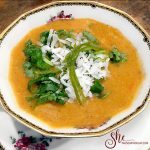 Her recipes are so artistic as well as delicious. Well now I’m excited to grab rhubarb at the Farmers Market this weekend. What a fun cake, and I love how easy it is. This book looks wonderful — her desserts are gorgeous! I have my eye on that striped rhubarb cake, too. Lovely! I can’t wait to buy more rhubarb as well. The book is absolutely delightful. O my goodness Cathy! Now that looks just totally amazing. i love rhubarb but it’s not been spotted here. Or at least not in my area. Can’t wait to get back to rhubarb cooking! And the book looks like a must have too! Hope you can find rhubarb soon, it is an amazing crop this year here. Beautiful cake. Too bad I don’t really eat dessert. You wouldn’t know it looking at me, but it’s all about cheese and everything savory! Nice you got your book signed. Chef Mimi I am not much of a dessert person either, but what it nice about this recipe is it is sufficiently sour and slightly sweet. Holy cow, all these rhubarb desserts are killing me! You know how much I adore RHUBARB! 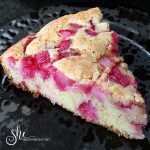 The cookbook looks marvelous as does your quick rhubarb cake! I actually made rhubarb mess in Australia (for my family) because the strawberries looked rather pathetic and I do believe I like it more than the original! 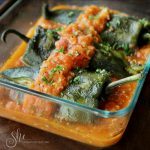 Thanks for sharing all these wonderful recipes, Cathy! I thought of you Christina when I saw this gorgeous rhubarb! You will love this simple, perfectly tart recipe.